Posted on 23rd October 2009 at 4:03 pm. British Airways has announced that it will cut 1,700 jobs in the latest round of cuts to hit the beleaguered airline company. In addition to this, it will also introduce a two-year pay freeze for its cabin crew and will make alterations to the terms and conditions that it offers its new recruits. Posted on 3rd September 2009 at 2:58 pm. 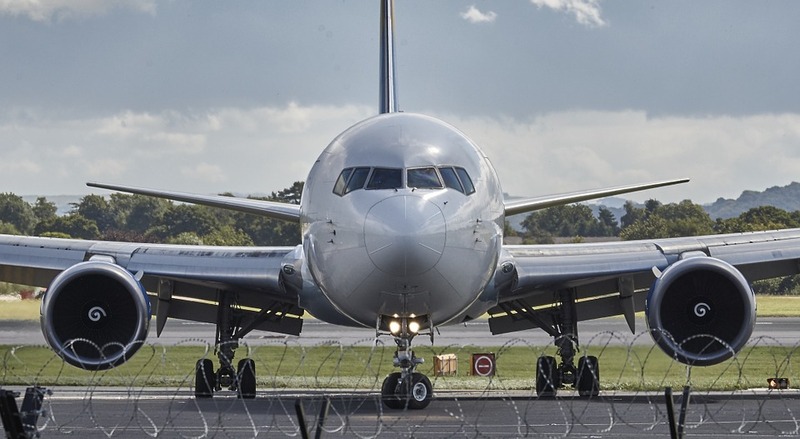 Signs that the effects of the recession on the aviation industry are receding were revealed recently by BAA, which announced that Heathrow Airport just experienced its busiest month since July 2006 and its third busiest month on record. This was good news for the troubled BAA, which currently has a net debt of £11.3 billion and has been suffering from falling passenger numbers across the country over recent months. Posted on 3rd July 2009 at 1:09 pm. BAA may be losing its monopoly on the UK’s airports after it was forced by the Competition Commission to sell off a few of them, but it has now decided to give Heathrow Airport, by far its largest asset, a facelift. After the initial problems with Terminal 5 and the recent controversy over the new runway, it has been decided that the airport needs to present a different image to the world. Posted on 10th February 2009 at 1:15 pm. Britain’s largest airport has found itself facing major difficulties last week when the heaviest snow for many years saw it come to a virtual standstill. Heathrow seemed to fare far worse than many of the other airports, with The Telegraph reporting that nearly 800 flights were cancelled due to the bad weather, with countless more suffering terrible delays. Posted on 27th August 2008 at 2:06 pm. The travelling public will have to make their own minds up – have BA (British Airways) been caught trying to dupe passengers with their advertising campaign, or was it an honest human error? Earlier this month, The Sunday Times brought to light an inaccuracy in the BA Terminal 5 advertising campaign which claimed on its website that 90% of its flights “were taking off within fifteen minutes of its scheduled time”. “Not so”, said critics, pointing out that BA were actually talking about the time planes left the terminal (a Civil Aviation Authority convention) and not when they actually took off. Given the high incidence of delays at Heathrow as planes taxi for up to half an hour waiting for a slot, the wording of the advert was misleading at best. BA blame a human error on the part of their marketing staff and advertising agency, Bartle Bogle Hegarty. BA are spending £6 million in an attempt to persuade the public that T5 is now working well, despite its rocky start this March when chaos reigned, with flights cancelled, baggage lost and passengers enduring a thoroughly miserable experience. After the Sunday Times made its revelation, the wording was quickly changed to: “Yesterday at T5 90% of flights left on time”. The website aims to provide passengers with up-to-date statistics on delays and arrivals and also average check-in times. Rivals Virgin Atlantic were quick to step into the fray, saying that BA avoid the evening peak period when calculating the average check-in time. They are expected to complain to the Advertising Standards Authority. Take a look at British Airway’s presence at T5 at Heathrow via their website. Alternatively, see our Guide on T5 at Heathrow Airport to get to know your terminal. Posted on 11th August 2008 at 2:40 pm. You must have been living down a hole if you weren’t aware of some of the nightmares Heathrow airport has been having over the past year or so. It might come as a surprise then to hear that the west London mini-city is the world’s busiest international airport. The World Traffic Report by the Airports Council International (ACI) has revealed that Heathrow is the overall winner in terms of passengers coming through its doors and has clocked up a staggering 62 million passengers in 2007. Posted on 12th June 2008 at 2:34 pm. With the cost of fuel constantly on the rise, and airlines such as Ryanair announcing the devastating effects that fuel prices are having on their profits, will this price be passed onto the consumer? And will it put us off going on holiday? British Airways hiked its fuel price surcharges twice last month, taking the fuel levy for a one-way flight up from £30 to £109. However, at the same time, Ryanair has announced the release of 500,000 new seats for £10 and has vowed never to introduce a fuel surcharge. Posted on 23rd April 2008 at 3:28 pm. 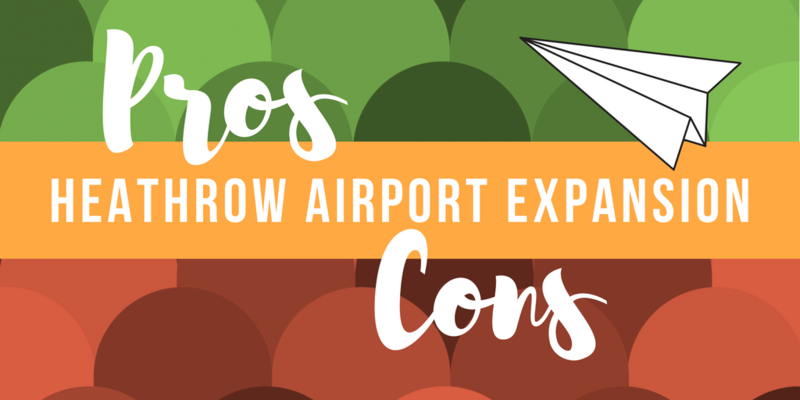 The potential Heathrow Airport expansion can be pretty devisive so we’ve put together a pros and cons – what it means for passengers, as well as local residents. The increase in air traffic in the UK, and in particular in the south east of the country, is a huge issue. By 2030 it is predicted that around 60% of all UK air passengers will be using the over-stretched airports in the south east of the country around the capital. Heathrow, Gatwick, Stansted, City and Luton will soon be at breaking point and in desperate need of the Heathrow Airport expansion. 120 million passengers a year walk through their doors, which is just under double the entire population of the UK. Tourists, businessmen and women, and people using the airports as a stop-off for longer flights, all add up to a huge requirement for a flawless service. This has been the government’s argument for expanding our airports as soon as possible. The High Court has now passed the law to allow expansion of Stansted and Heathrow airports and work will begin on the former very soon. There have, however, been suggestions that the plans are unlawful and in breach of the European pollution limits that are being drawn up and will be properly imposed in 2010. Many environmental groups have been set up to try to stop the expansions but they are finding the fight a tough one. The Stop Stansted Expansion (SSE) group are not happy with the news that the building will take place on their doorstep by 2012. They, and others like them, will continue to fight their corner but it has now become a much tougher battle. Stansted has been chosen as a preferred starting point to Heathrow because the pollution effects are very different. The principle sources of pollution are air and noise. At Heathrow it is likely that 30,000 people will be affected by the nitrogen dioxide air pollution whereas it’s only a mere 20 around Stansted. The noise levels are much higher at Stansted though (around 14,000 people will be affected) but again it’s considerably less than Heathrow. #3: the verdict: how can we balance economic and environmental factors? The Transport Secretary at the time of the agreement in 2005, Douglas Alexander, has gone on record as saying that, “Aviation should meet its climate change costs and should limit noise and pollution”. But it feels as though this will be more easily said than done. Aviation White Paper of 2003 proposed that the new runways at Stansted should begin by 2012 and then at Heathrow a few years after. Although Mr Alexander had one eye on the environmentalists, he was pretty committed to getting the job done and said, “We must ensure that the UK has the airport capacity it needs to enhance its economic performance." Ruth Kelly, the Transport Secretary, now has welcomed the new idea as much as her counterpart and was delighted to announce the plans for a third runway and a sixth terminal at Heathrow to be operational by 2020. The expansion at Heathrow will cause the annihilation of an entire village nearby to the airport. Residents of Sipson will see the bulldozers marching towards them in the next ten years and around 700 homes will be flattened to the ground. Apart from the obvious local critics, the government has faced opposition from within the House of Commons. The Lib Dem transport spokeswoman said, “At a time of climate change, with aviation having such a big impact, shouldn’t we be completely rethinking this and putting that kind of investment into rail?" The ball has started rolling on this one though and it looks like a pretty hard one to stop. Posted on 23rd April 2008 at 3:10 pm. Heathrow airport has been the focus of heavy criticism recently, with congestion, delays and general chaos, coming under scrutiny. Now it seems that critics have yet more cause for complaint. Compulsory finger printing and photographic profiling has already started on a trial basis, in preparation for its introduction at the brand new Terminal 5. It will be used for all passengers flying to Aberdeen, Edinburgh, Glasgow, Manchester and Newcastle. The reason given by the BAA for this controversial move, is the design of the new terminal’s departure lounge. There is no segregation between international and domestic passengers, leading to fears that, in theory at least, international passengers in transit at Heathrow could change boarding passes with a passenger on a domestic flight and enter the UK illegally. The fingerprinting and photographic profiling should ensure that the passenger who checked in is the same passenger boarding the plane. Passengers will be fingerprinted and have their faces scanned when they go through the airport’s X-ray equipment and the details will then be available for cross-checking at the departures gate. Anyone refusing to co-operate will be denied access to their flight. Civil liberties groups are unsurprisingly condemnatory of the move and have accused BAA of ushering in the scheme through the back door, with no public consultation or announcement. Those opposed to the introduction of ID cards are concerned that this scheme is being used by the government to “soften up” people in the run up to ID cards, by making them feel that fingerprinting is an acceptable part of everyday life. Dr Gus Hosein from the London School of Economics is an expert in the relationship between civil liberties and technology and says “Britain is the first country in the democratic world to introduce this scheme as mandatory for flights within its borders. There would be a revolution if it happened in the US”. The scheme, whilst attracting fierce opposition from many people, is within the law which governs data protection. A spokesman from the BAA has given assurances that the data is destroyed on a daily basis and that there is no possibility that it will fall into the hands of the police or any other authorities. At Gatwick, which also has a common departures lounge for domestic and international travellers, photographs are already taken of passengers for security reasons. Later this year, travellers arriving at ten major American airports, including New York’s JFK, Chicago, Miami and Boston, will be obliged to provide prints of all ten fingers. The director of the US-Visit Programme has tried to allay fears that the new system will cause unacceptable delays at Immigration. He has suggested that Europe is likely to follow suit in the future, although the Home Office has stated that there are currently no plans to fingerprint passengers arriving in the UK.